Furniture or Wooden Dog Crates are a great tool for housebreaking your pet pooch while maintaining your home decor. 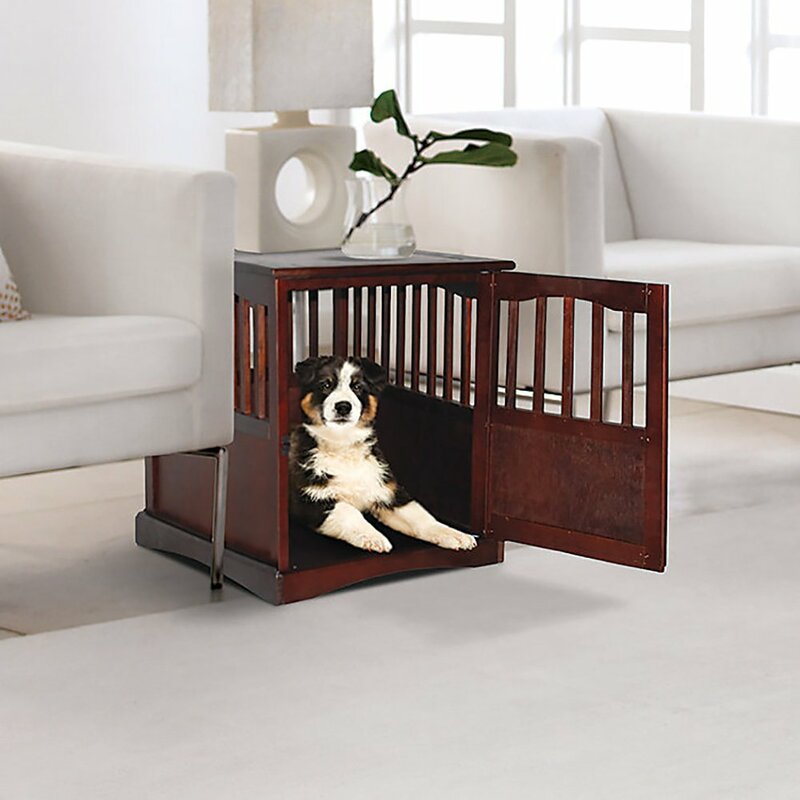 Indeed crating your dog is a fantastic way of fixing behavioral problems such as furniture destruction, separation anxiety, and general bad behavior. They are also an excellent way of keeping your pet out of harm from household hazards such as wire cables, sharp edges, and dangerous items; this is especially important when you are away from your pet such as at work or shopping. Wooden crates are available in a range of different types, sizes and wood types enabling you to find the right crate for your home decoration. Dogs and puppies are naturally inclined to seek a comfortable, safe sanctuary in a den like an area. 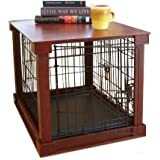 Wooden dog crates allow you, the owner to provide this sanctuary while still maintaining a sense of home decor. 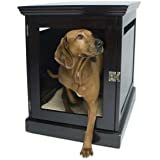 There is a large range of different wooden or furniture dog crates on the market today making it a complicated processes selecting which one would be ideal for your home and your pet. 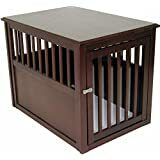 When crate training your dog you can expect to have great results in under three weeks when using a furniture crate. Some especially well behaved dogs can be Considered fully house trained at this time. After your dog has been crate trained, they will become thoroughly accustomed to being locked in their crate. Once housebroken your dog will willingly relax in their crate even when the door is left open. They will consider it as their little personal den.